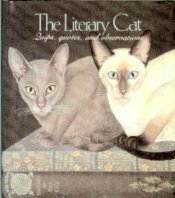 This mini book (2 3/4" wide x 3 1/4" high) includes "quips, quotes and observations" on cats by famous writers, poets and painters. Copyright 1990, hardback, approx 50 pages. Previously owned but in new condition.